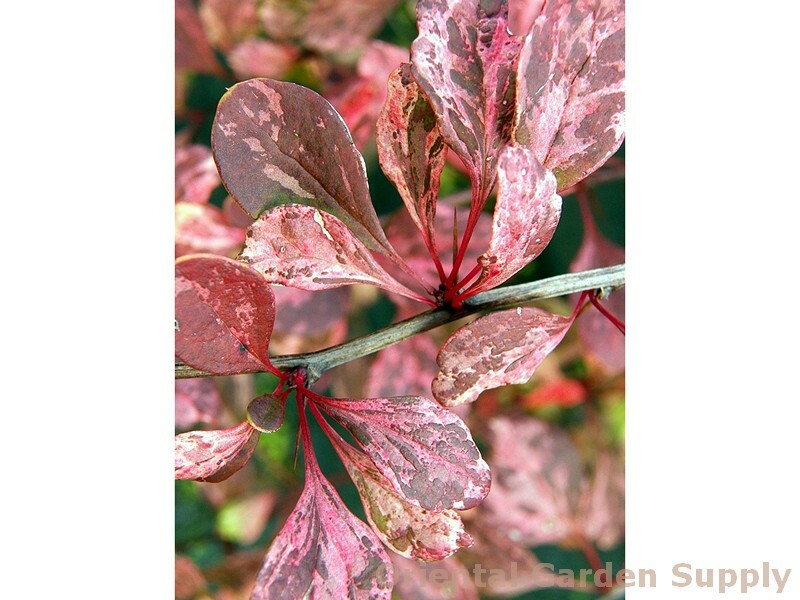 Product Information : Unusual variety of barberry with bright gold leaves tipped in red in spring. Slowly turns green splashed with white and pink. Prefers some shade mid day and well drained soil. Slow growing, slender, dwarf column.